Purchase of MIA Micro-FLIGHT (MIA) products constitutes a binding legal agreement with these terms. 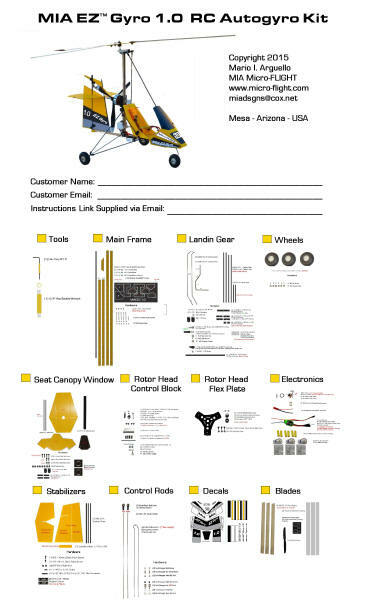 User is defined, as the person purchasing directly from MIA Micro-Flight. Whether MIA Distributors, MIA Dealers or End Product Users. as required of anyone assembling RC Models and as stated in this Agreement. for some of our products, for the purpose of guiding the user in the methodical assembly of such. a HOW TO section and FAQ in our web site for user reference before Product Assembly. We also provide technical support if you have any questions please via our E-Mail, or under Contact MIA. MIA Micro-FLIGHT is not liable for any mishap that may result from use or misuse of MIA products. that are required to operate Electric/Electronic RC models safely and within the rules of you your specific municipality. User is fully responsible and liable for the safe assembly and operation of RC Models. RC equipment, please follow the MIA Suggested guidelines and specifications that come with such. or E-Mail us for assistance. RC models and are familiar working with similar materials and tools for assembling such. 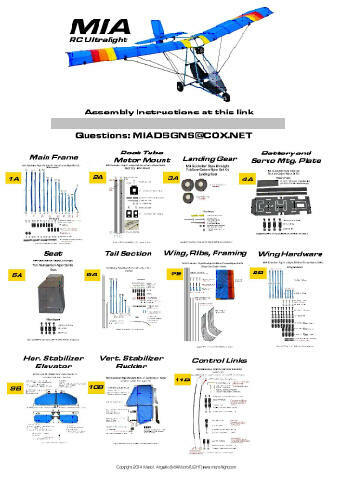 MIA Micro-FLIGHT prides itself in the design and manufacturing of each Product Kit and each one is factory tested and Kits are factory "boxed"
the end user, has a good idea of what to expect after assembling the kit provided it follows MIA direction and Instructions supplied with each kit. However, in the rare case that a part shall not meet MIA Part Specs, MIA will replace, at MIA's discretion, such at no extra cost. Due to the nature of many of MIA products being "Custom Kits", they cannot be re-shelved or re-sold, therefore these sales are final. User Modified Kits and or parts voids all Warrantees. MIA Products, DO NOT grant "anyone", a license for product duplication, in any form. MIA Products can be resold in their original package by MIA approved Dealers and Distributors Only. © Copyright 1999-2015 Mario I. Arguello (MIA Micro-FLIGHT) www.micro-flight.com All Rights Reserved.